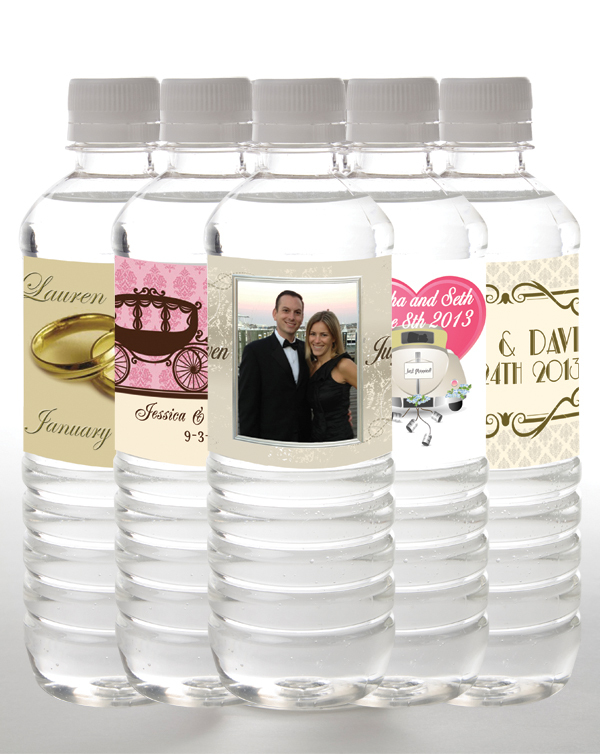 Customized wedding water bottles are a great way to personalize your special day. Our attentive staff of designers will work diligently to create the perfect water label especially for you. These bottles make a great wedding favor at your reception and when welcoming your out-of-town guests at their hotel. Leave it up to us; we at Tailor Made Water will deliver your customized bottles, worry free, in time for your wedding. Learn how Tailor Made Water can help you create the perfect custom wedding water bottle favor for your special day.